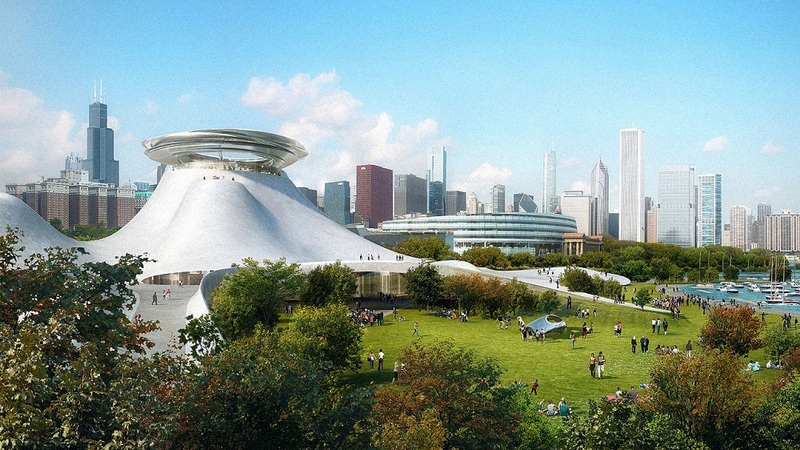 The Lucas Museum of Narrative Art now has a site. 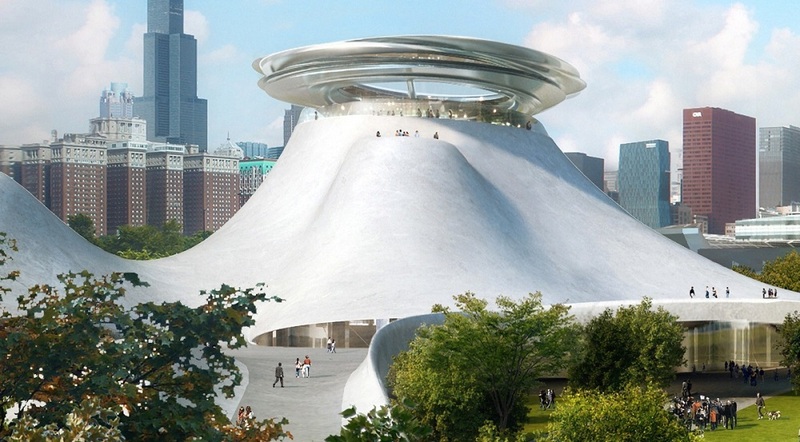 On Friday George Lucas announced that he had abandoned plans to build his Lucas Museum of Narrative Art in Chicago. The museum’s director, Don Bacigalupi, says the Star Wars filmmaker is “engaged in due diligence on sites in San Francisco and Los Angeles”, reports the Architectural Record. The decision to leave Chicago had been expected for weeks. George Lucas had hoped to build on a parking lot near Soldier Field, and in 2014 he released renderings of a mushroom-like building by Ma Yansong of Los Angeles- and Beijing-based MAD Architects (best known for a pair of sinuous condo towers near Toronto). The structure was 400,000 sqft. But in late 2014 a group called Friends of the Parks filed suit, claiming the city had no right to convey waterfront land, held in a public trust, to the museum. In September, the museum released a revised design, scaled down by about 25 percent. But the Friends of the Park group wasn’t mollified. In February, a federal judge declined to dismiss its suit, meaning the litigation might have dragged on for years. 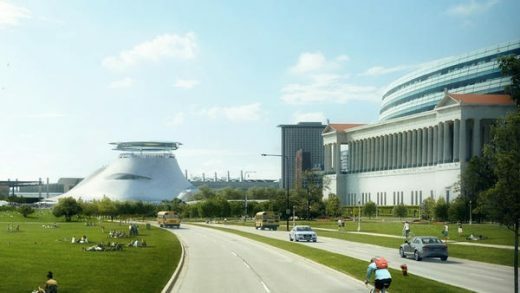 And when the city offered another site —McCormick Place East, a convention center designed by Mies van der Rohe protégé Gene Summers — Friends of the Parks stated its intent to block construction at that location too. “No one benefits from continuing their seemingly unending litigation to protect a parking lot,” he said in a statement Friday. Whichever site is chosen, Ma Yansong of MAD Architects remains as the museum’s architect, according to Don Bacigalupi. The architect has already visited the Treasure Island site in San Francisco suggesting Los Angeles is out of the running. The intial design was for a Chicago site by MAD Architects. 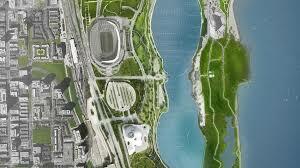 Architect Frank Gehry and Chicago mayor Rahm Emmanuel both “voiced strong support for the project”. However the design was criticsed by Blair Kamin of the Chicago Tribune who described the building as being “needlessly massive” and called for a “dose of restraint”. The museum will house works by artists such as Howard Chandler Christy, N.C. Wyeth, Maxfield Parrish, and Norman Rockwell. The lawsuit averse Lucas Museum of Narrative Art, which is openly courting other cities after Chicago’s Friends of the Park filed legal action to prevent the project from building on its chosen Chicago lakefront site, may wind up in San Francisco, although Los Angeles (and Waukegan, IL) have offered themselves up as well, reports archinect. 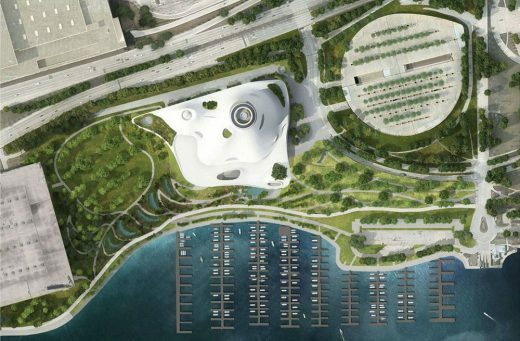 Rahm Emanuel, who was a vocal champion of the Museum’s proposed locale, recently suggested a compromise in the form of moving the museum to the Lake Michigan adjacent McCormick Place East, but no one is compromising as of yet. 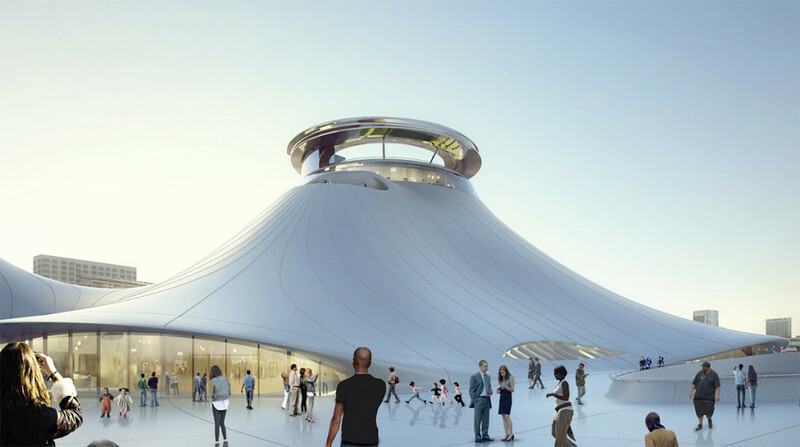 It is also unclear if Lucas is actively considering L.A. as a home for the museum. 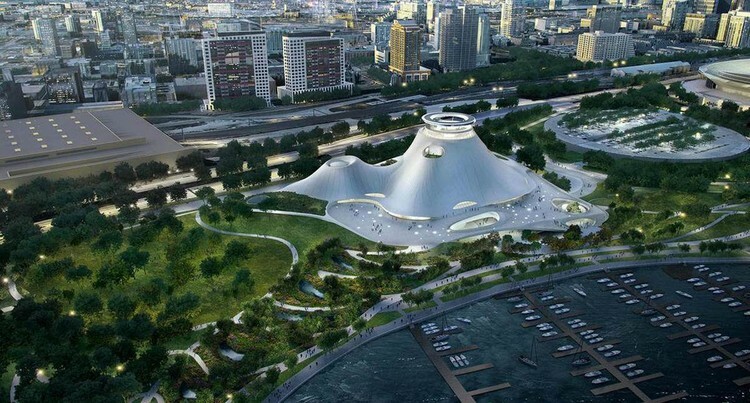 In 2014, Garcetti reached out to Lucas in a letter expressing interest in bringing the museum to Southern California. Garcetti tentatively proposed the Los Angeles Memorial Sports Arena, located near USC, where Lucas studied film in the 1960s. The plan was to tear down the arena, which opened in 1959, and build the museum on the site. The location would have put the new venue close to Exposition Park, which contains the Natural History Museum and the California Science Center. George Lucas, world-famous director of the Star Wars and Indiana Jones movies, had previously considered locating the museum in either San Francisco or Los Angeles, close to his California home and the base of his company LucasFilm. George selected Chicago in June 2014 – the director has described the Windy City as his “second home”. His wife is from Chicago and they married in the city.